This is our 4th year of theme parties, each year my crazy bunch of secondary school mates and besties will come out with different theme for our parties and we got to dress up accordingly! So what theme for 2012? 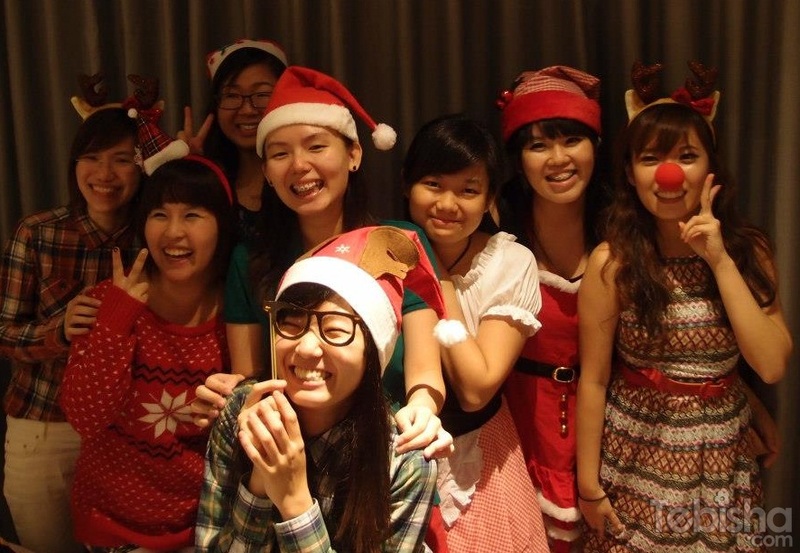 This year we had our party at Capri by Fraser at Changi, we were quite disappointed with their service. 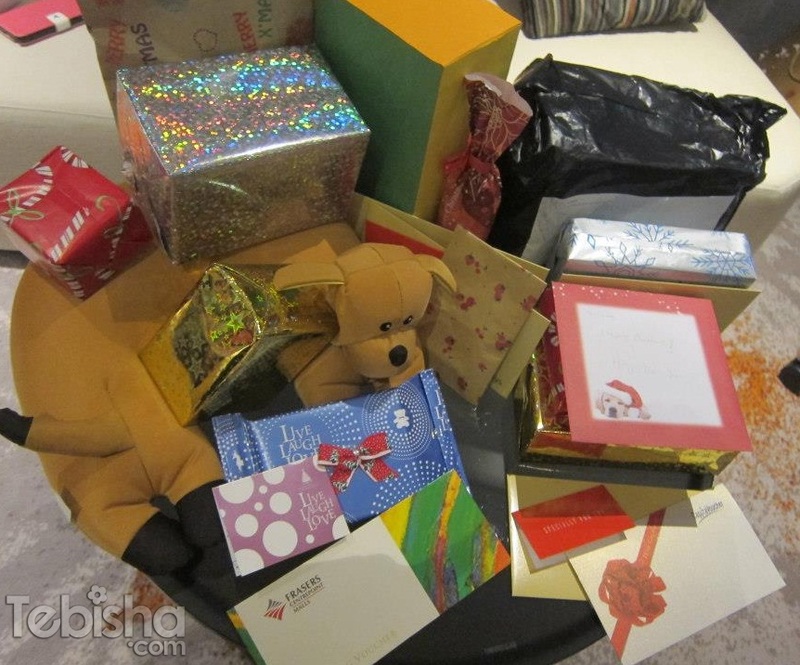 Everything was okay for the Christmas night but for our New Year night I think the management quite screw.. 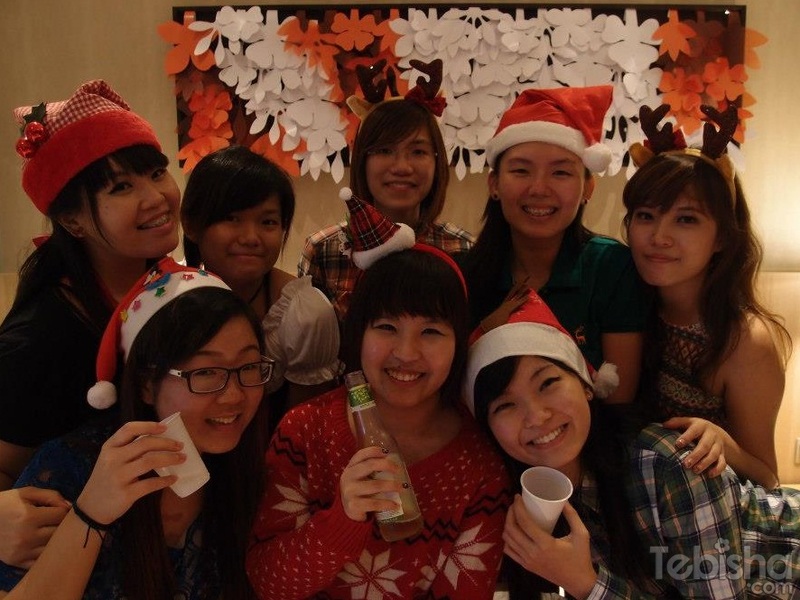 I will elaborate more below..
Christmas Party! Our theme is Christmas Outfits! Everyone has to dress in Christmas theme! Christmas feast prepared by our chef Man Lin! Christmas Presents for Gift Exchange! My outfit for Christmas Party! 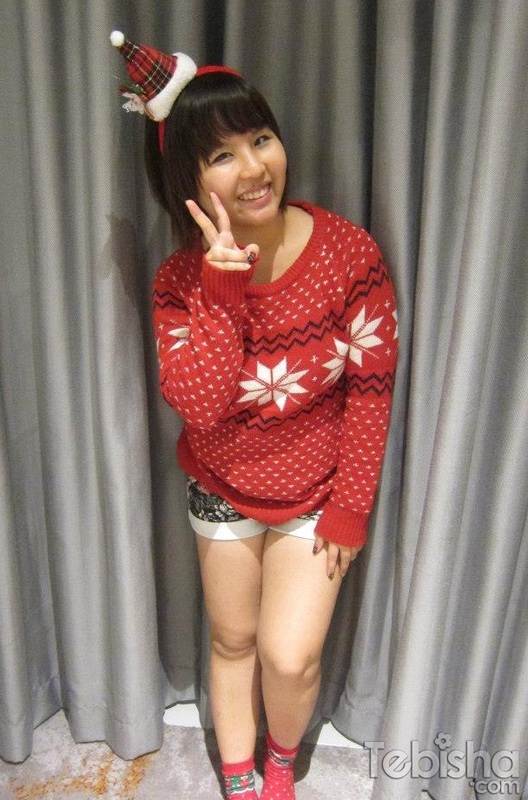 Snowflake sweater, mini Christmas hat headband & Christmas socks! Lots of photo moments and candid shots with the girls & gang! We ended our celebrations with Running Man game! My team! We were the catcher team! Although, we did not manage to end the game successfully due to the tight security nearby but we had fun! We shall continue the game this year and back to our usual place for the game! 1 week later, we were back to Capri again for our NYE Party. This time the security at Capri was really tight. They restricted the number of guests in the room, they had head count check at the lift lobby and asked the number of guests in each room. We didn’t experience this when we were at Ascott and Marina Bay Sands for our parties in the previous years. And this is not the worst part of all, at around 10pm+ someone knocked on our door, the staff bashed into our room, started to do head count and pointing his finger at us counting one by one, it’s very rude for him to do this kind of actions in front of us. He told us someone complained that our room were very noisy but we weren’t noisy at all! We didn’t shout and scream that night, we were in the mid of changing our outfits with minimal noise at the point he came in. I suspect the staff has been targeting our room since we checked in and he keep on patrolling at the corridor that evening. He told us to clear the room by 11pm, only 3 guests allowed to stay in the room and inform us he will come by at 11pm to do another round of check. It’s NYE, I believe other rooms also having parties not just us. We have seen groups of people going into 1 room as well. Our moods were affected by the attitude and behavior of the Capri Staff. After he left, we trying our best to keep our volume down and started to whisper to each other. Nevertheless, we did enjoy ourselves and lots of fun in Mafia role playing! Thumbs up to all my friends! We did a great job in dressing up as Mafia this year! Anyway, back to the theme party of NYE. Mafia Theme! 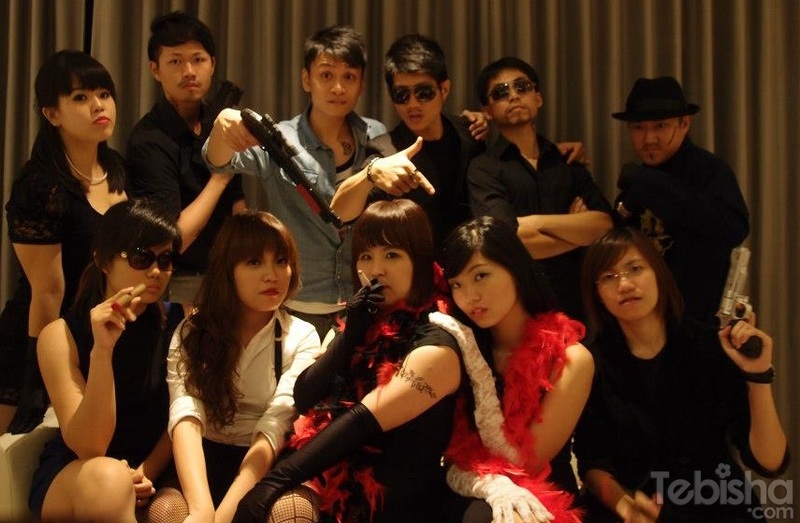 Most of us put in effort in dressing us up as Mafia, some of us even brought some props to enhance the roles. 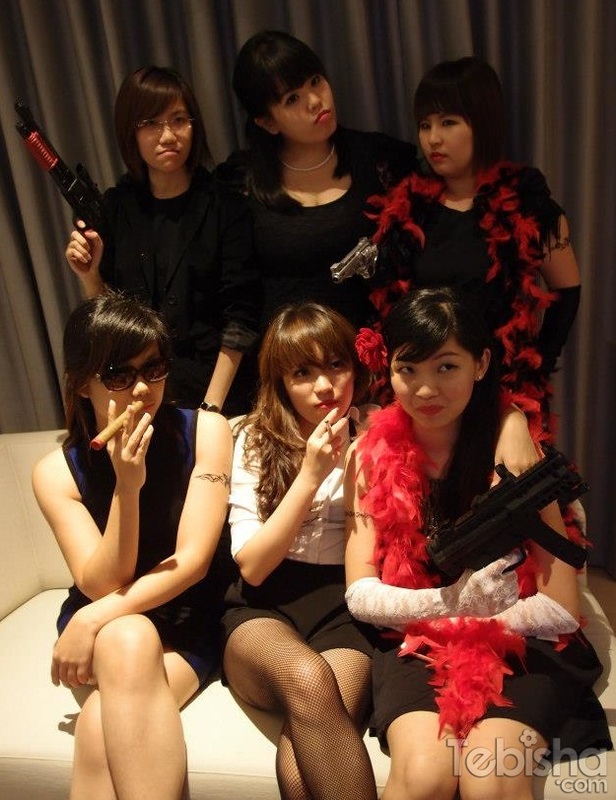 I specially bought the gun, black satin gloves, net stocking and feather shawl just for this party. And the Guys! Tattoos, scars and moustache made them super like Mafia! 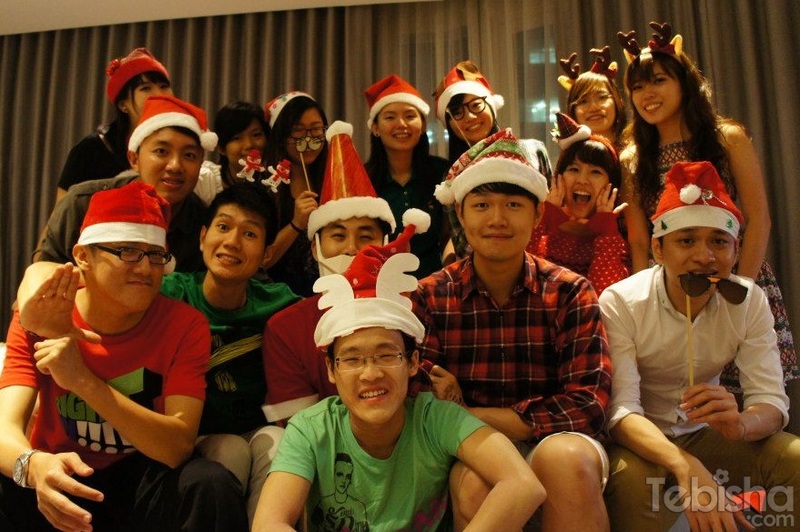 And lastly, our group photo! Mafia Team!